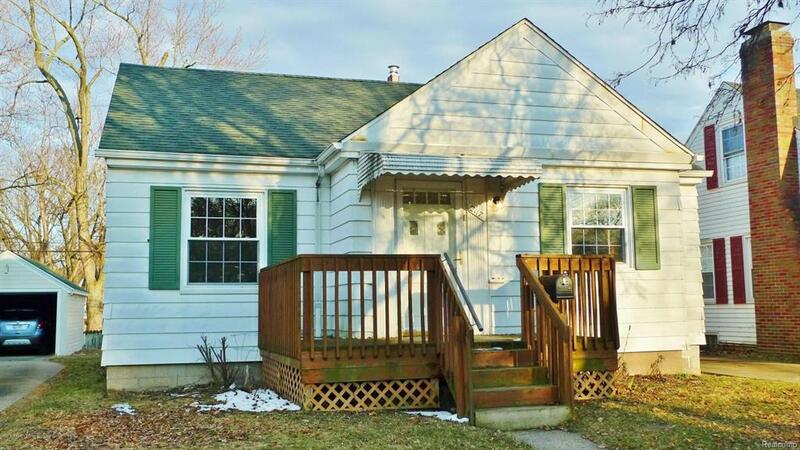 Charming three bedroom cape cod style home in the popular South Gardens subdivision in Lansing... Convenient location just minutes to 496.Hardwood floors throughout most of the main level...Updated kitchen and bath. Large sun room off of one of the main floor bedrooms as well. Large living room with foyer. Kitchen has ample cupboards and there is a nice dining nook off the kitchen as well. The basement is partially finished with a spacious recreation area, an office/den, and a second bathroom and a laundry area. Fenced back yard and a one car garage too. Some updates include a new roof shingle in 2006 as well as a new furnace in 2017 plus freshly painted throughout. Nice home in a great area!